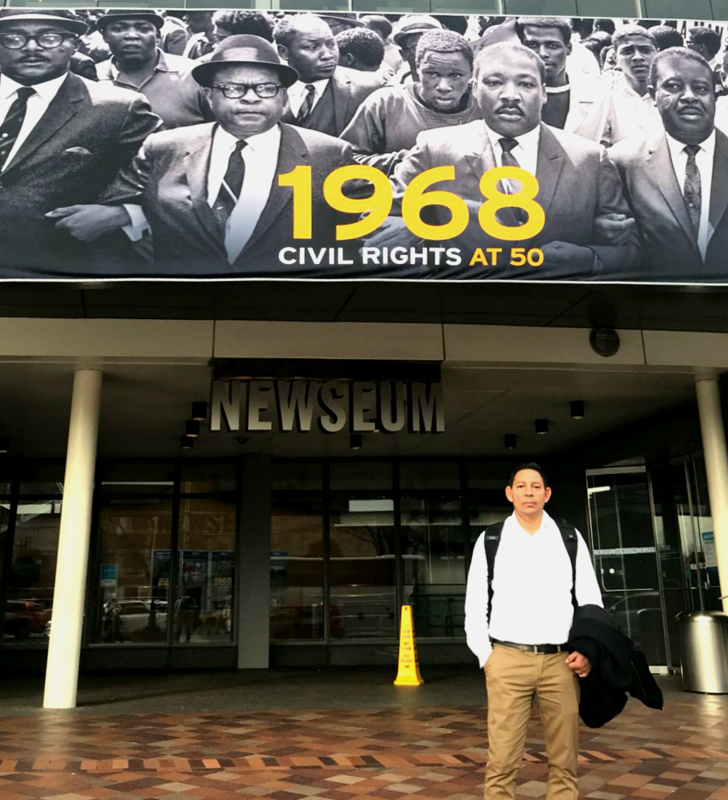 The Latin America Working Group (LAWG), together with the Washington Office on Latin America (WOLA), brought in February 2018 a delegation of award-winning Colombian human rights defenders to Washington, D.C. to shed light on the peace process and on the recent wave of attacks against community leaders and social activists. In a public event hosted by the U.S. Institute for Peace, the group of defenders shared their perspectives on the impact—and perils—of their work, and the state of peace in Colombia. Socorro at the Lincoln Memorial. Photo by Andrea Fernández Aponte. Socorro works with the Standing Committee for the Defense of Human Rights in Colombia and, as a former victim of paramilitarism, she helps oversee and provide guidance to other victims in the Tame municipality of Arauca, including those searching for their missing loved ones. 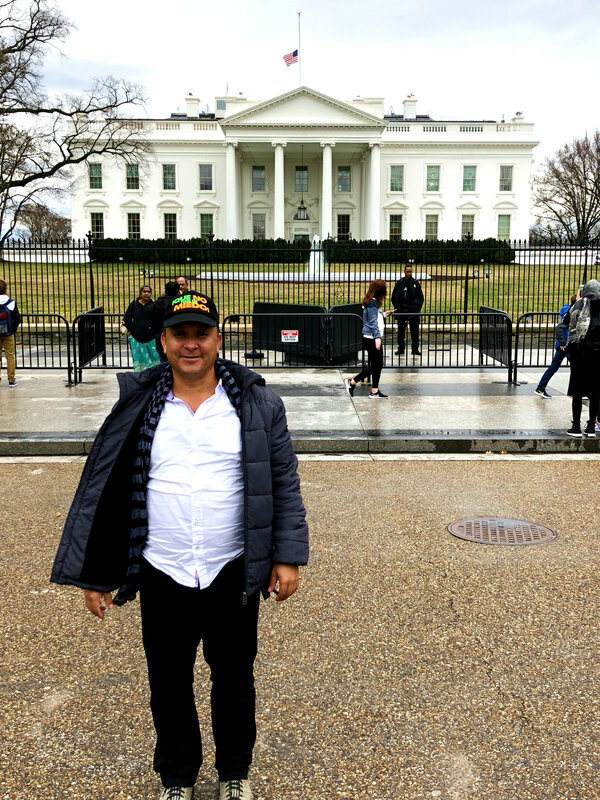 Enrique in front of the White House. At the event, Enrique commemorated defenders who were killed in Colombia by displaying an orange piece of fabric stitched with some of their names along with the message, “Never forget.” The prominent Afro-Colombian leader of Buenaventura, Temistocles Machado, who was killed earlier this year in January, was listed among those names. Enrique noted that Temistocles was murdered precisely due to failure of the government to recognize the legitimate owners of territories in Colombia. “His assassination and that of many other defenders demonstrate how the business sector’s economic interests have discouraged them from participating in the construction of peace and instead, made them determined to strip those who are farmers, indigenous, and Afro-descendants of their territories,” he said. Enrique works with the Interecclesiatic Commission on Justice and Peace (Justicia y Paz) in Buenaventura, where he supports communities who have suffered human rights violations. Enrique has documented hostilities against the community by armed groups. He has also spearheaded initiatives denouncing impunity and the loss of land in an effort to protect indigenous and Afro-Colombian communities. 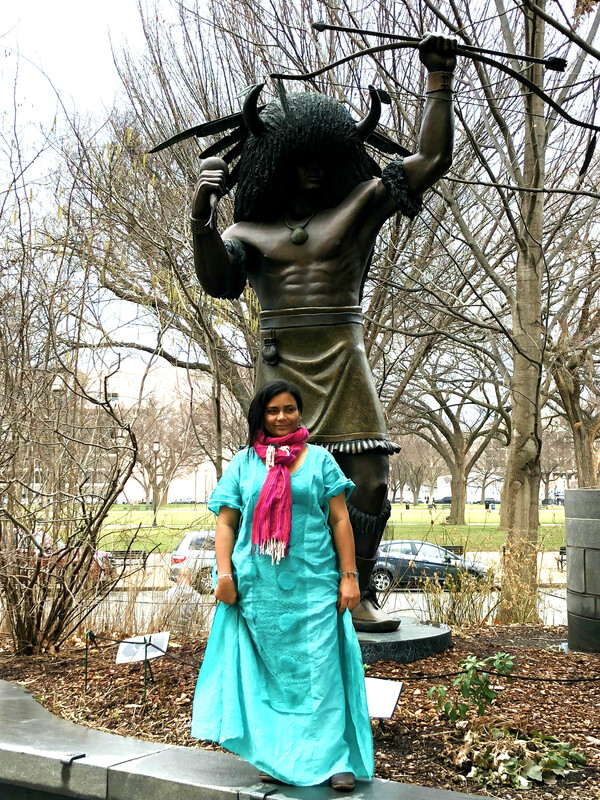 Angélica at the National Museum of the American Indian. “In the peace agreement they say they will protect defenders but nowhere do they say how they will accomplish this goal. A lot has been said in the agreement but there is a serious lack of specific details. That is where we are stuck at the moment,” she said. “I think each and every one of us has to contribute to the construction of peace. And also continue weaving the path to live a better life because there is a major challenge ahead of us if we truly do want to live in total and absolute peace in Colombia,” Angélica added. The Association of Wayuu Women was created in 2006 in the middle of a wave of paramilitary violence. It served as an alliance between small villages and Wayuu organizations to shed light on the issues facing victims of the armed conflict, which included the presence of armed groups, and military occupation of their territory. The organization has helped increase the political participation of Wayuu women and empowered them to become indigenous leaders. Angélica has served as secretary general of the Association of Wayuu Women since 2007. Photo by Sebastián Bernal (WOLA). Iván serves as president of the Regional Corporation for the Defense of Human Rights (CREDHOS). Founded in 1980, CREDHOS promotes the protection of human rights, democracy, and international humanitarian law. Its mission is to establish spaces for tolerance, understanding, and peaceful living on behalf of vulnerable and victimized populations from Barrancabermeja and Magdalena Medio. 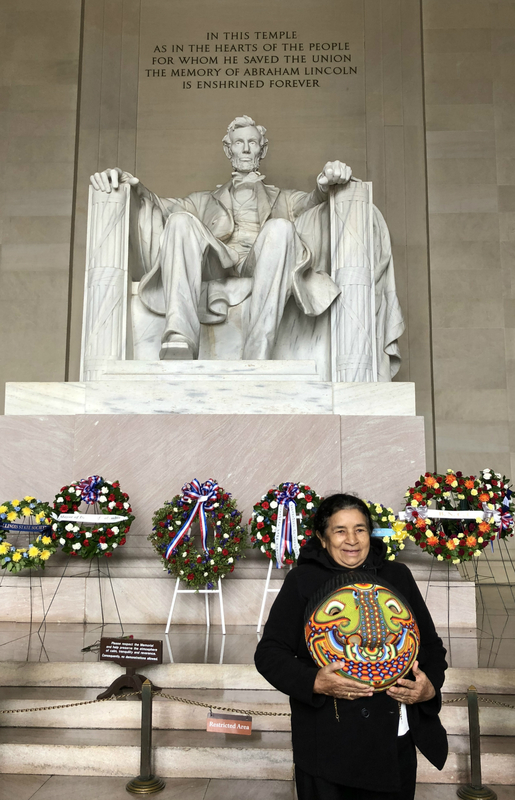 Socorro, Enrique, the Association of Wayuu Women, and CREDHOS were chosen to receive the 2017 National Prize in Defense of Human Rights in Colombia. The Swedish humanitarian agency Diakonia and the Church of Sweden sponsor the award, which was created in 2012 to combat the social and political stigmatization of defenders by highlighting their significant contributions to Colombia. “This award can help Colombian society begin to think of the award winners as part of the solution to our problems instead of an additional problem. They can contribute to building peace. In fact, they have been building peace for years and with their support, Colombian democracy can improve,” said Cesar Grajales, director of Diakonia’s program in Colombia.